There are three important factors to consider when hiring a wedding photographer. Two are unique only to the photographer and cannot be copied. The third element fluctuates due to many different variables. Let’s talk about each in the order of importance. 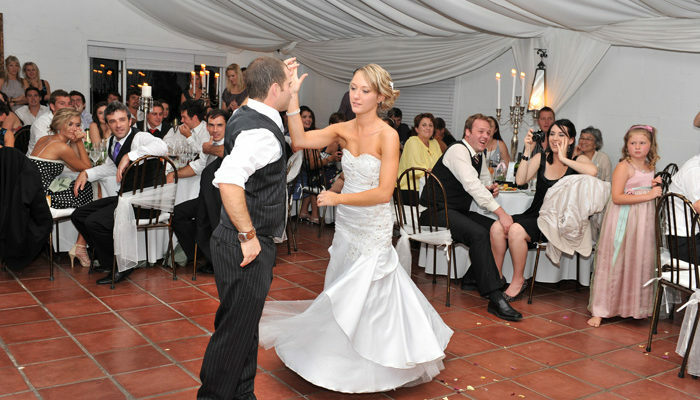 First and most importantly is the personality of the individual who you will hire and invite as a guest to your wedding. These characteristics may not be the first thing you think about when hiring a photographer, however, it will definitely be the most important factor in the decision-making process. The first thing you need to determine is whether or not you like the images that this particular photographer has to show you. You will probably see 10-15 photographers’ work online and narrow it down to 3-5 individuals who you will interview. It is definitely important to be intrigued or excited by the images a photographer shows you but this is not always the deciding factor. Now that you are meeting with the photographer face to face, the question you have to ask your inner self is: Do I like this person? Do I feel comfortable with this person? Will my friends and family like him or her? Would I invite him or her to my wedding? Personality and character may not be the first thing you judge when interviewing a potential photographer but it is always a common thread that influences the final decision. You have to really like AND trust the person who will be capturing your wedding images. You could find the Ansel Adams of wedding photographers, but if he or she bugged you in anyway and you are not totally honest with yourself, the only person who is going to suffer is you. The bottom line is, if you don’t like your photographer for any reason your wedding images and your memories or going to be reflected upon as if looking into a tarnished mirror. The second element and almost as equally important as personality is the photographers eye; the way he or she sees and captures the wedding day. This unique trait separates one photographer from the next. It is “the photographer’s fingerprint” no two are the same. A photographer can copy another photographer’s style, but the fact is no two photographers see the same way. When looking at different photographer’s work, take notice of how and what they see. Do the images move you? Are they unique or different or do they look like every other photographers work you have looked at. Are they emotional? Do they tell a complete story? Are they artistic and creative? Are they real? Do the people look comfortable? Finally, out of all the photographers you met with, whose images did you gravitate towards the most and why? Usually, the answer to these questions will tell you who the right photographer is for you. Finally, the last deciding factor is usually Cost. You spend hours if not days of your time interviewing photographer after photographer and now you have found the perfect one for you. Their images are amazing and he/she is the greatest person ever! However, your inner voice picked someone who is more than you budgeted for. What do you do? Ask yourself a few important questions. After the wedding is over, what am I going to have left? Answer: Your pictures. Everything else is going to be forgotten and only remembered through your photographs. According to a survey run buy TheWeddingChannel.com, the number one regret married couples had is that they wished they would have invested more money on their wedding photography. Think about this, when the music over, the food is gone, and flowers are dead, your wedding pictures are the only thing left to bring back those memories and the irony is that most people spend more on flowers or food than their wedding photography. Your wedding album will last long past your wedding day and then passed down to your children and grandchildren. If your wedding pictures are important to you, don’t you think the photography should have a place in your budget where you give priority too? Shopping for a wedding photographer is like buying a house; you get what you pay for. In both cases the purchase and decision to buy is based on emotion. Buying a little more than you can afford is always a wise investment that you won’t regret as long as you have put in the time to find the perfect one for you. With that said, it doesn’t mean there are not ways to get the most for your dollar. One way is to buy all albums and products you might want up front as part of a package instead of buying a-la-cart afterwards. Another way is make sure you understand what it will cost before AND after the wedding. Sometimes a photographer’s packages appear to be less expensive at first glance, then after the wedding you get hit with add-ons you did not expect such as over time fees, more expensive re-prints or additional album design charges. Then you end up spending more money than you would have with a photographer who first appeared to have been more expensive but everything was included in his package. Don’t make the mistake of weeding out photographers because you called or emailed and asked for prices and then crossed them off your list because they exceed a certain dollar amount that you determined photography should cost. Finding a great photographer is much like discovering a great restaurant. Let’s say you were to call around to ten different eateries and ask, “How much are your meals?” If you never take the opportunity to meet the owner, taste the food or experience the service, the ambiance and charm of the restaurant you cannot make an educated decision. All of these things make dining a great experience. Calling on the telephone and price shopping won’t give you the same education as actually meeting the photographer in person or having a face to face conversation via Skype if you are not in the same town. Wouldn’t you feel better knowing you spent a little more on your wedding images because you loved your photographer and your wedding photographs were so amazing that you wanted them all in your album VS. getting less than you imagined and end up spending more than you dreamed.